Hydrogen as a molecule is exceptionally resourceful. It can play a role in heat production, electricity production, and mobility. Moreover, hydrogen combustion process does not produce CO2 but H2O instead. For that reason, it is the perfect method to supply CO2-neutral energy. Additionally, hydrogen is a commodity and it is also used in a number of chemical processes as for example the manufacturing of two of the most important chemical compounds made industrially, ammonia and methanol. It is also used in the refining of oil, one of the processes for obtaining high grade petrol and in removing sulfur compounds from petroleum which would otherwise poison the catalytic converters fitted to cars. 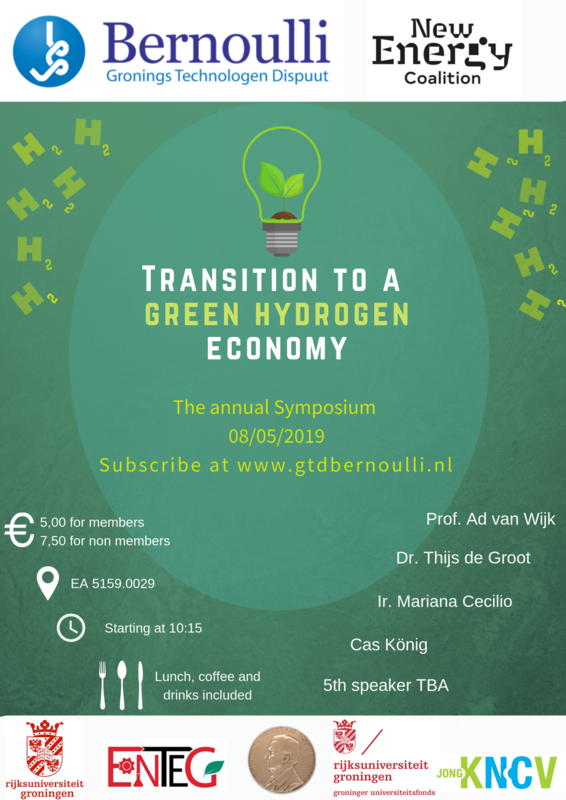 GTD Bernoulli Symposium 2019 aims to present the outline of industries and researches that are about to advance towards an economy and society related to renewable hydrogen from production, transport, management to utilization. Non-members can subscribe via https://www.energyacademy.org/energy-lecture-green-hydrogen-economy/ .